The Hotel Hindustan International is a trendy property with cosy and aesthetic rooms, and a few minutes away from the New Delhi Metro station. It is located in Paharganj, a block away from the Paharganj Police Station. It is also close to the New Delhi Railway Station and Jhandewalan Mata Mandir. Razia Sultana Tomb is also not far from here. The rooms in the hotel are cosily lit, with modern furniture, bright bed linen, and pretty murals. The bathrooms are stylishly tiled and have modern fixtures. 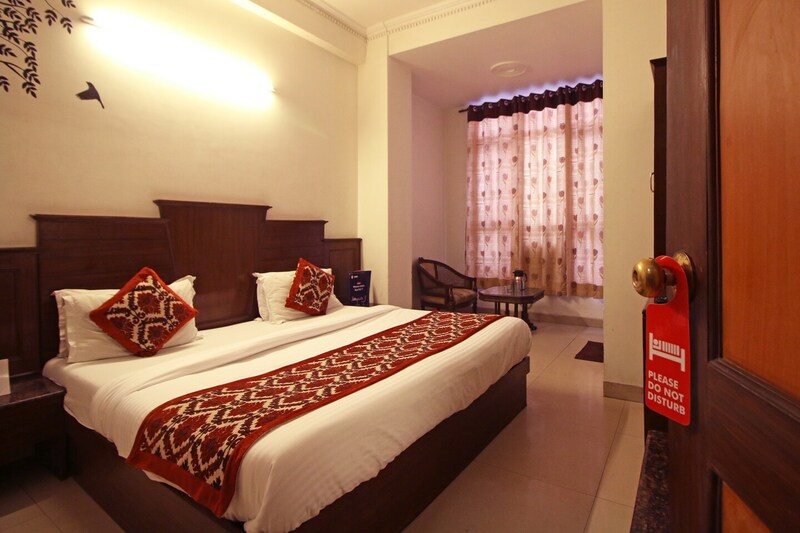 The rooms are equipped with air-conditioners, TVs, room heaters and free Wi-Fi. There is a seating area too in each room. The hotel also provides power backup, an elevator and card payment system. Eateries in the vicinity of the hotel include Nand Di Hatti, Bikaner Sweets Corner and Radhey Shyam Subhash Kumar Special Chole Bhature.